Well I can say that although there is not a lot of blogging going on right now, there has been a lot of scrapping going on and I couldn't be more thrilled. I am just sitting down to have a bite to eat, so I thought that I'd get everyone caught up before I really get behind. Yesterday a very dear friend of mine, Angji, came over and cropped with me most of the day. We did take a break for lunch and a shopping trip, but other than that we actually got some things done. While she worked on 'cards for soldiers' - I worked on mini projects. Now I don't have photos up yet but soon enough I will post them for you all to see. In the mean time though-I must tell you that I am very excited to have two big items done and checked off my list of stuff to get done 'before baby'. One of them that I decided to do (a week ago) was actually inspired by Cathy Zielske. On her blog she has a mini called 'a year of tags' and it looks simple enough (something she is notorious for) so I thought why not try it. The cool thing is, the tags that she uses in her project - she lets you down load the pdf file for them so that you can use the tags too - totally cool! So after I downloaded all 12 tags, I pulled up the month that I wanted to use, resized it to my liking and printed 30 of them so that I would have enough to cover all the days of the month. Then I cut out a front & back cover from chipboard, covered both sides of them and then the back sides of my tags, and my mini was complete. 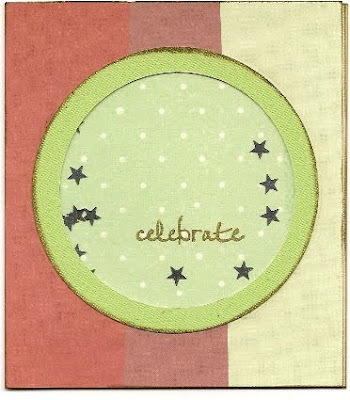 Now when November comes all I have to worry about is the photos & journaling for each day - I love it! Below I put the link to the project & the pdf file and also I included the link to 'cards for soldiers' too in case you were interested in that. The other project I finished is something special for my mother-in-law and my mom, so there won't be any postings of that one for awhile, but as soon as I can I will get that up for viewing. I think you are going to like it too! My inspiration for it came from my all time favorite, Ali Edwards. 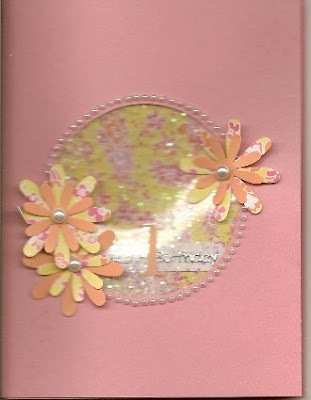 She started a 'Tuesday Tutorials' a few months back and so far I am enjoying it, and have picked up a couple of new ideas & lessons from it, so this project is a spin off one of those Tuesday Tutorials. As for things that I can post well here you go: cards, cards, and more cards - just another thing I have been doing lately. Not just birthday ones either, in fact I already have a jump start on my holiday cards; some ideas, some inspiration from my girl Angji, and finally some much needed energy to just do it. This one may look like a Christmas card, but it is actually a birthday card for a good friend of ours. 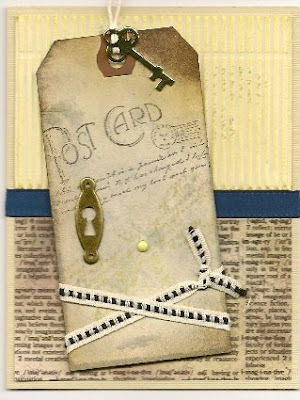 I can't remember what this one ended up being but the tag was a Tim Holtz inspired idea. Same with this one, I can't recall if ended up being a birthday, thank you, or something else but the point was the tag once again. 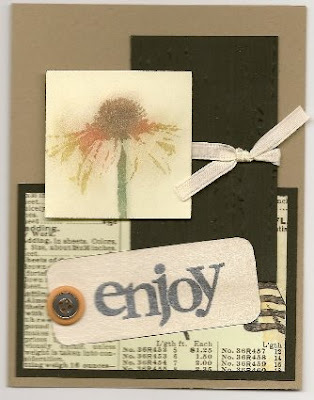 I was trying out several of Tim Holtz's ideas & really liked them. 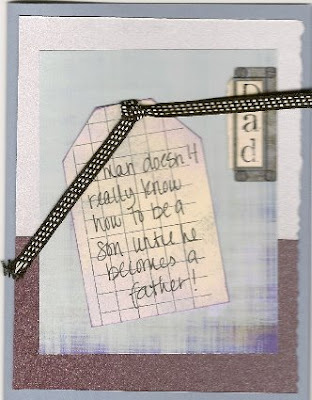 This one was a Father's Day card, I really like how the layering of this one worked so well. In fact I made several of these for family & friends. Another Father's Day card that I made. 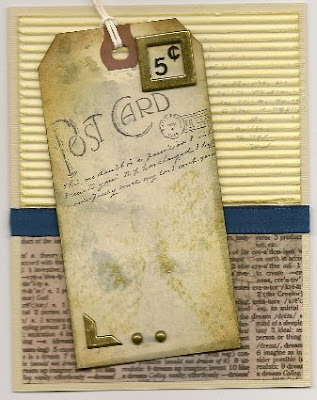 This one actually happens to be a Hybrid card, I experimented with several of my digital elements to create this. This one I made for my nieces' 1st birthday, it is simple yet sweet and I love how the glitter cut-out worked even better than I thought it would. This one I made for my nephew, and again I kept it simple - maybe it's a pregnancy thing, but it works and I like the results, so why not? Finally we are @ the end. This little gem I made for my grandma, and it is just beautiful if I do say so myself. Well I hope that you have enjoyed today's post, lots and lots of stuff to look at finally. 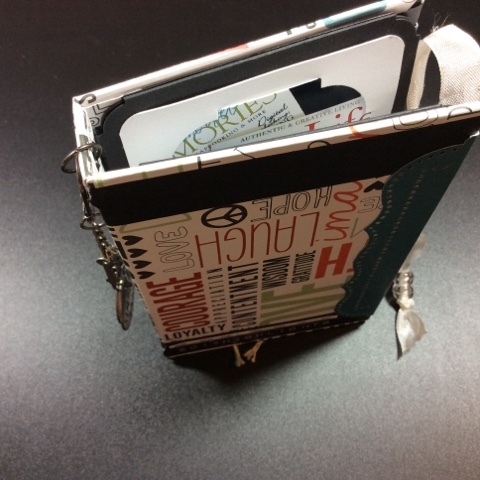 Hopefully next week I will have photos of my tag book posted for you, so take a peek!